Heritage and Quality. Created and crafted in Britain. Victoria James Bespoke Jewellers make all their jewellery in the Jewellery Quarter in Birmingham. England. Great Britain. Never before has there been such consumer interest in UK made products. Victoria James jewellers offer you the very best in British design and manufacture. Our heritage is in jewellery manufacture. When we opened our retail premises it was a natural progression to retail the jewellery products that we make. The vast majority of our products are created entirely in-house in our Birmingham Jewellery quarter workshop, fusing modern computer technologies with traditional handmade jewellery techniques. We do not buy our ring mounts or jewellery component parts from importers. We produce our designs, make models, produce them in gold and platinum and then assemble and hand finish them in our Jewellery quarter workshop. Because of this you can be assured of the level of quality that each piece of jewellery that we create acheives. We do not use nickel in any of our gold alloys, which cannot be said of alot of the jewellery that can be currently bought in the UK. Jewellery that carries a 'British' hallmark does NOT mean that the item was made in Britain. It no longer even means that it was hallmarked in Britain. The 'Birmingham' assay office are opening an office in Mumbai, India where jewellery made there will be stamped with the 'Birmingham' anchor symbol. 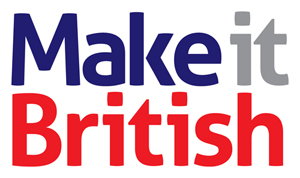 We are proud to be members of the 'Made in Britain' and 'Make it British' campaigns who promote and support British manufacturing.